CALLING ALL CHARLOTTE MEDIA TYPES ... AGAIN! If you're a member of the local media workforce -- and that includes newspapers, magazines, TV stations, radio stations, public relations firms, Web sites, freelancers and more -- you need to check out Mixed Media. What is Mixed Media? 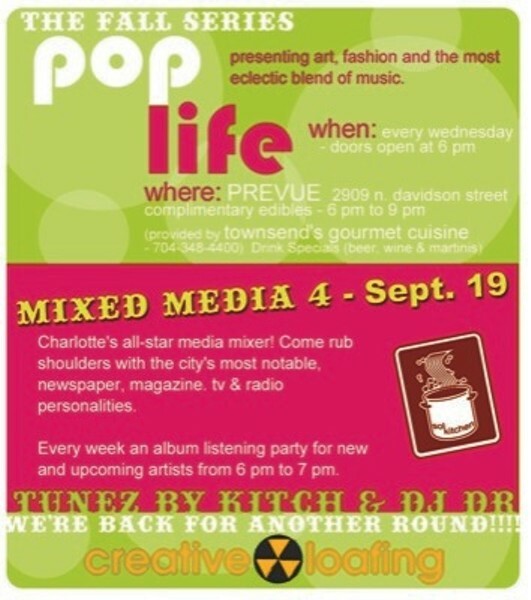 It's Creative Loafing's official media mixer. And honestly, we just want to give folks in the industry a chance to eat, drink and be merry. This ain't your daddy's networking event. We want you to let your hair -- and your laptop -- down and have a good time. Plus we're providing music and free food. And ... it's FREE. When: Sept. 19, 2007, 6 p.m.-9 p.m.
Wanna come? Shoot an RSVP e-mail to carlton.hargro@creativeloafing.com.